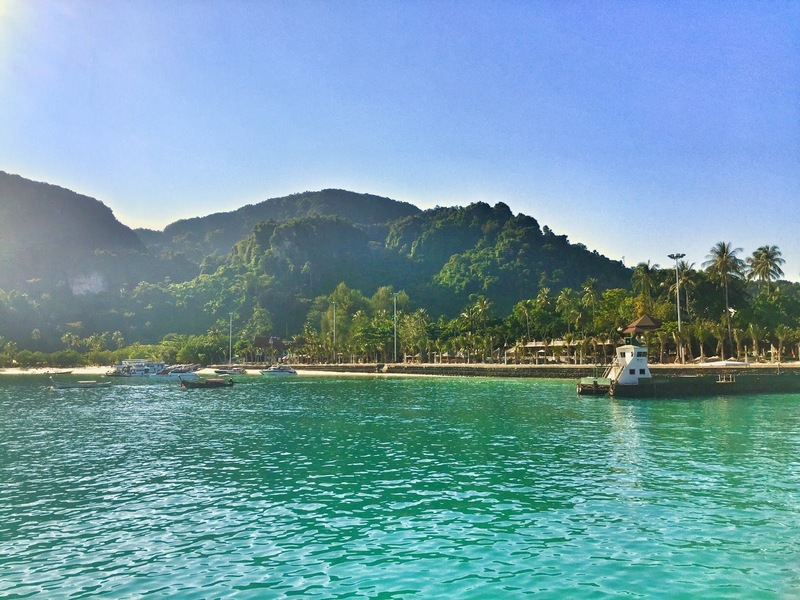 Shades of blue beaches, wild monkeys, snorkeling, sunburns, and countless papaya salads pretty much sums up my Koh Phi Phi experience! 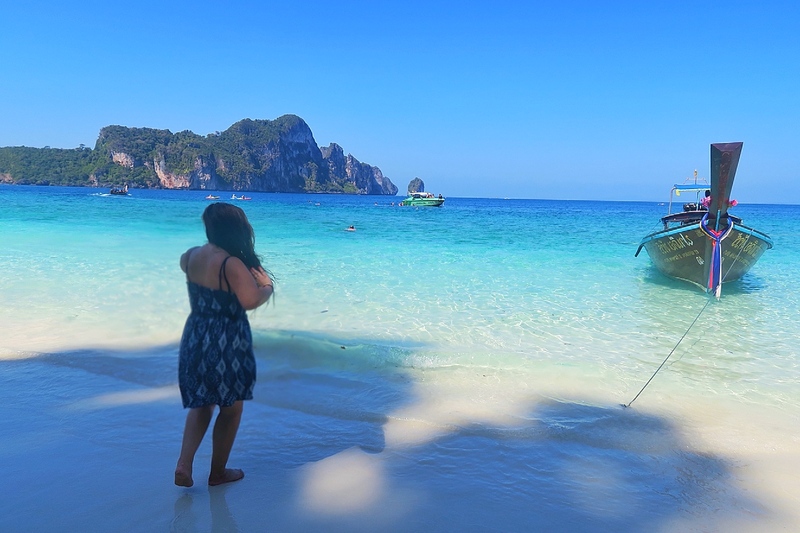 White sandy beaches, crystal clear turquoise waters, and a laid back island vibe, Koh Phi Phi looks like one of those picture perfect postcards but in REAL LIFE! 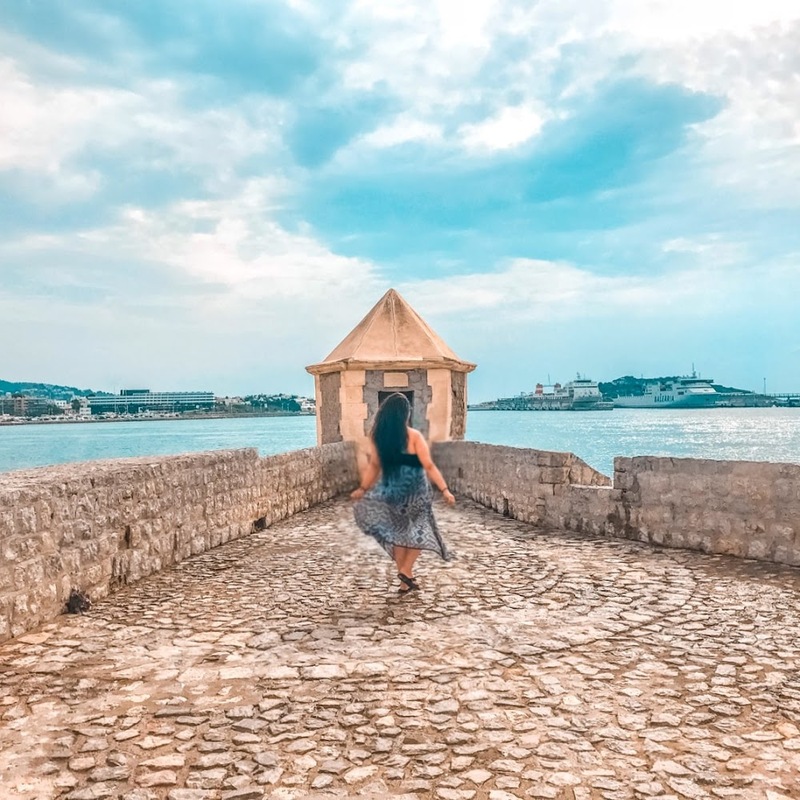 I can see why this island is a sought after travel destination for backpackers, families, and travellers of all ages. 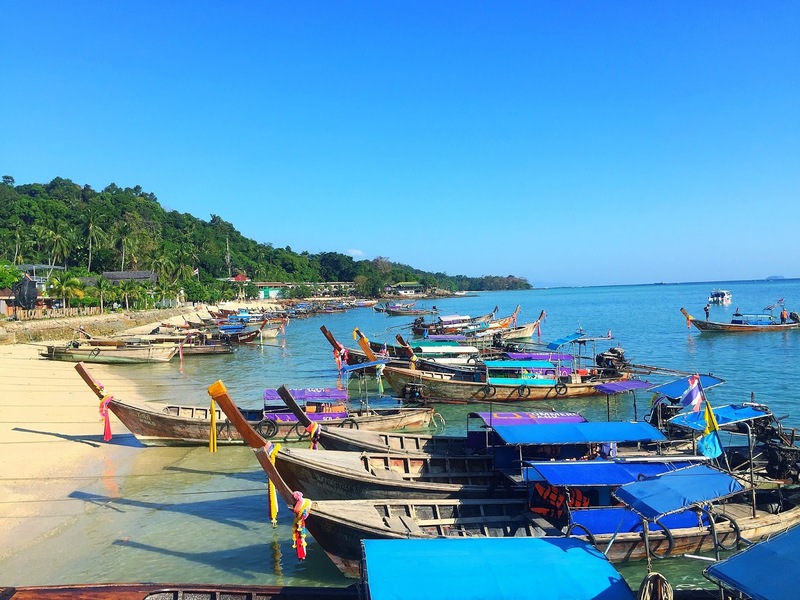 After the ferry ride over to Koh Phi Phi, I was super excited seeing the view from the window! 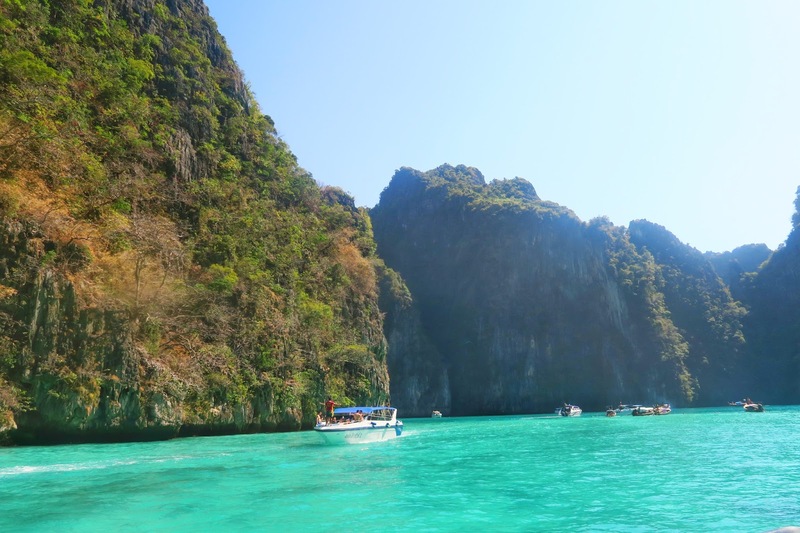 You can definitely feel the difference in temperature from Phuket to Koh Phi Phi. It was much hotter on this island and you MUST reapply your sunscreen at all times. I got a really bad sunburn even after reapplying many times, so be careful! Our accommodation was quite a walk from where the ferry dropped us off, btw there are no vehicles on this island, so prepare yourself to walk a lot. I was glad we didn't have to carry our luggage, the guy on the ferry dropped it off at our hotel. As we finally arrived, I noticed it was far away from main area. It was much quieter and secluded but wait for it, our rooms were legit on a hill. That would be my only complaint about the accommodation is the walking up and down the hill, if you aren't physically fit or use to walking on an incline on top of hot humid weather, beware! But if you don't mind that, it's a great workout for your legs. I enjoyed this hotel having it right on the beach and buffet breakfast. 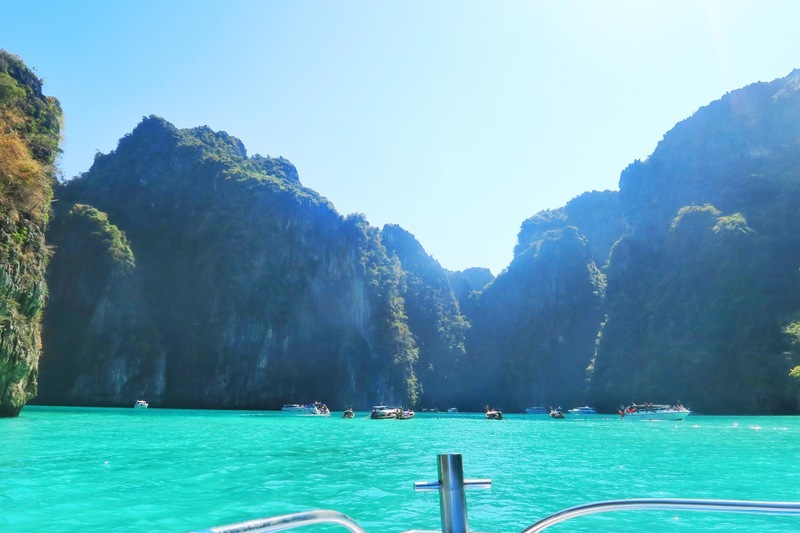 The Maya Bay excursion was honestly the best part of the Koh Phi Phi trip. Seeing different beaches, views around the islands, and working on that tan (getting sun burnt for me) was well doing this optional! There was lots of free time here, so it was up to you to make the most of it! The nightlife on this island is on another level! I never experienced a beach party like that before and holds so many memories. Many people from my tour partied a little too hard and never made it back to their rooms (like I said previous, we were kind of far). It was funny hearing their stories the following day, of getting lost, sleeping on the beach, and other crazy shenanigans that happened. 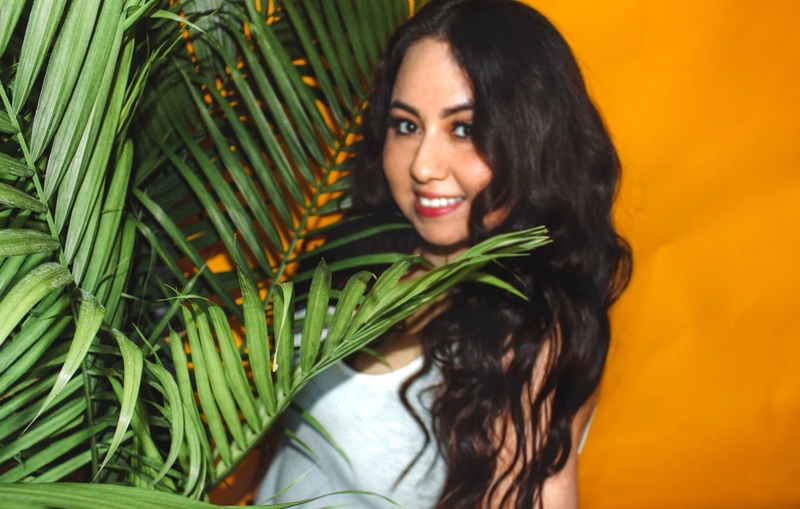 I wish we had more time here because I loved the island vibes so much here. 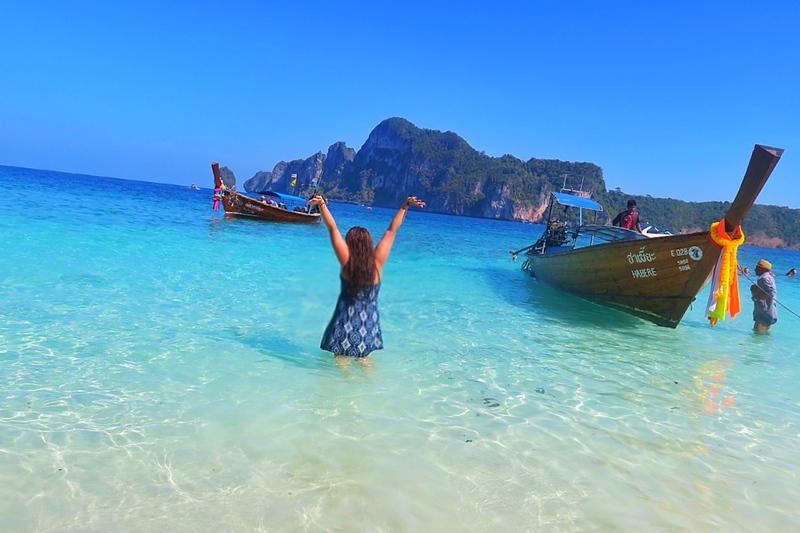 I could see myself returning here in the future for sure but until next Koh Phi Phi, you were so good to me! 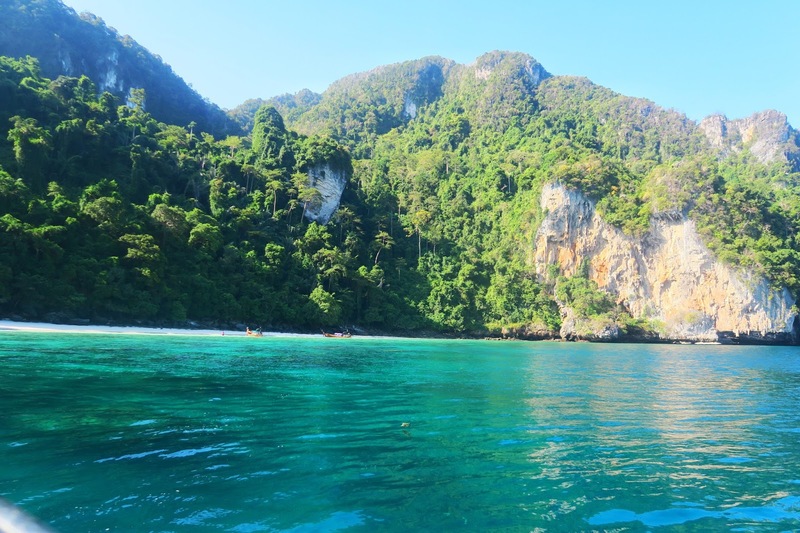 Stay tuned for my Krabi post next. 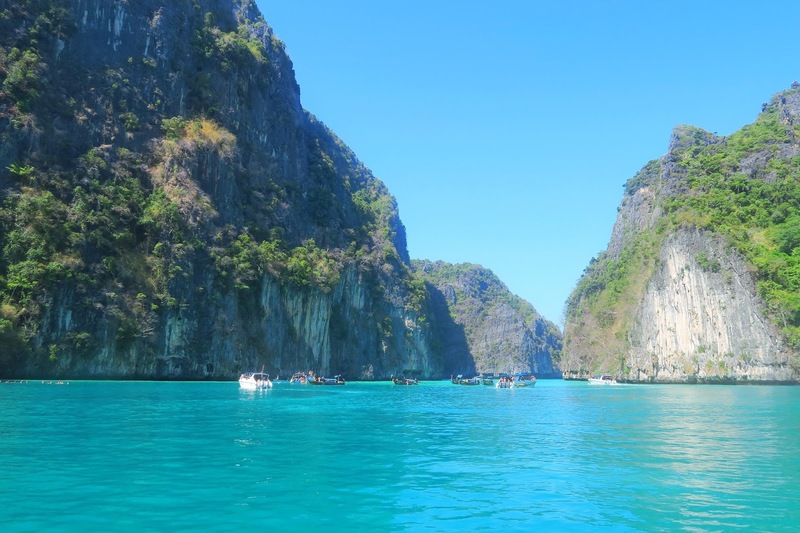 This excursion stopped in 5 places that included snorkeling stops, monkey beach, and Maya Bay (where Leonardi DiCaprio filmed the movie The Beach). 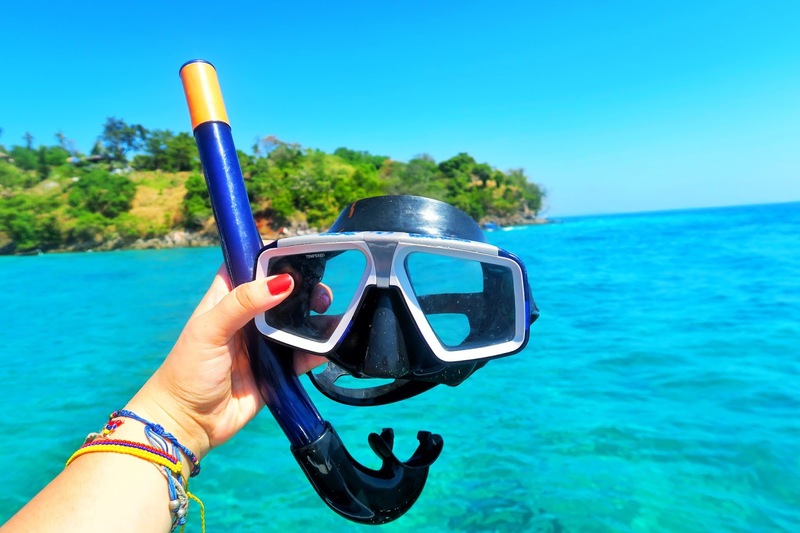 A fun-filled boat day mean tons of sunscreen, water, and your bringing out the Gopro! 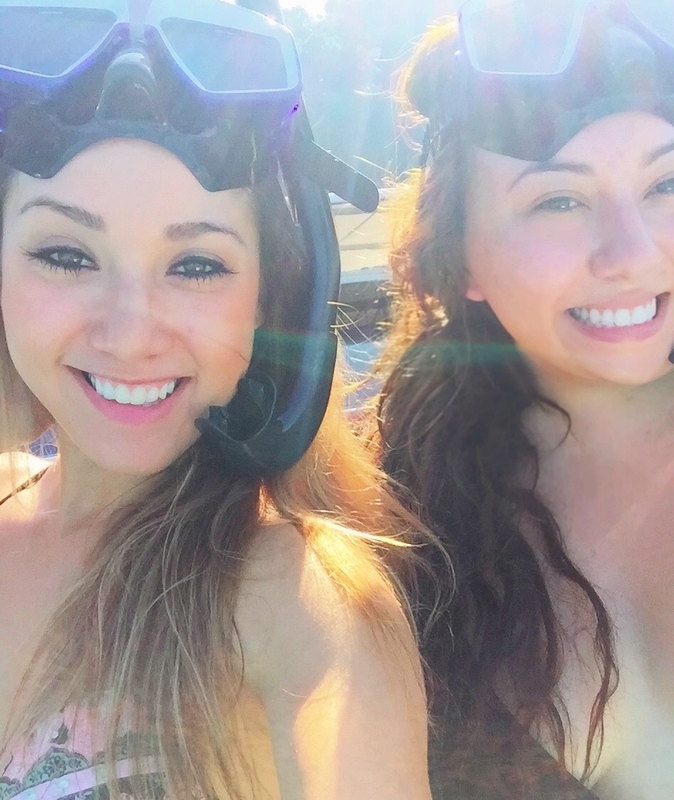 I love snorkeling in every travel destination I go to, it never gets boring. 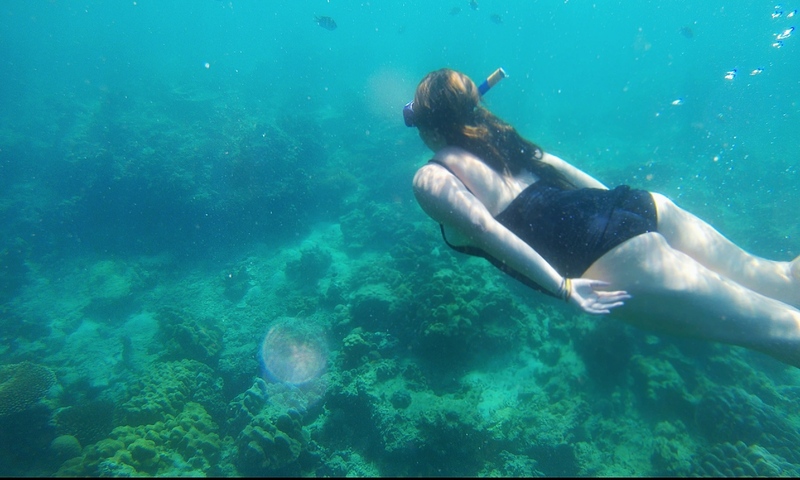 There's so much beauty underwater, it just takes your breath away! Monkey beach was interesting to say the least, they would steal your drinks or anything they could get their little hands on and run away. Some were friendlier than others, so just be careful when you go near them, a tour guide told us some people get bit. 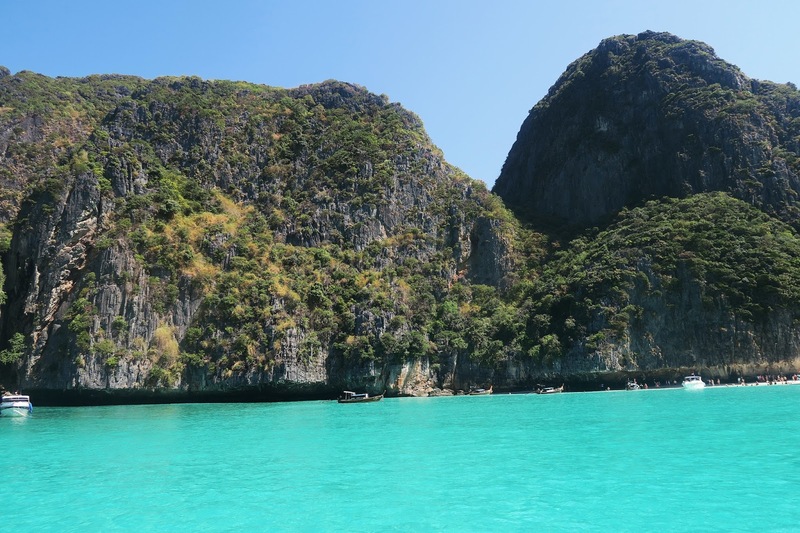 Maya Bay is unbelievably beautiful, what you would see in a postcard, it is that times 100. But if you're expecting a secluded beach, sorry, that isn't happening unless your the first boat group to arrive or the last one to leave. As time passed, more and more tour boats stopped to drop off people. Don't get me wrong it's a must see place but it can be overwhelming with tourists especially during HIGH SEASON! But all in all, this was a great excursion and loved every minute of it! 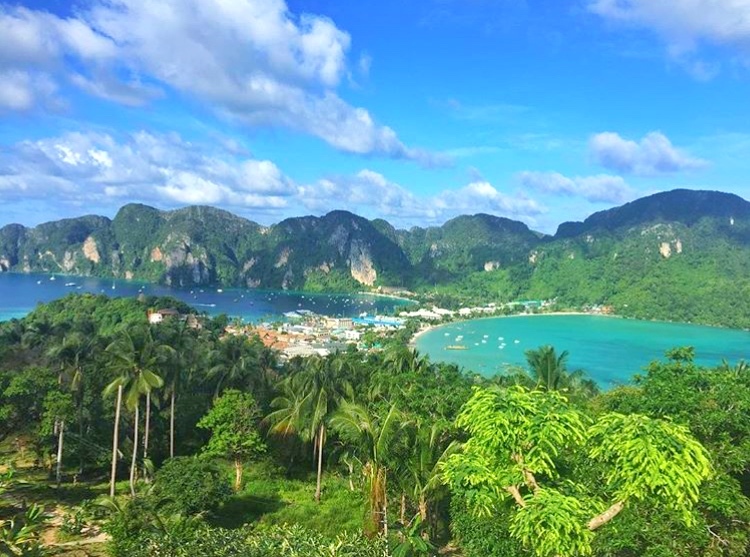 Koh Phi Phi looks like one of those picture perfect postcards but in REAL LIFE! I can see why this isl There is a spectacular view at the highest point called the Viewpoint. The hike up there is popular both during the day or sunset hours. The hike can be strenuous for some especially depending on the weather (bring water!) but it includes hundreds of steps and twisty paths but well worth the view! There are lots of restaurants to choose from offering both thai cuisine and western cuisine. I found myself nibbling on lots payaya salad (my new favorite dish), spring rolls, and trying their fresh juices/smoothies. You also must try Thai ice cream, it's pretty cool how they make it and much more better in your stomach! Papaya restaurant has to be one of my favorite restaurants there I returned a couple times through my stay in Koh Phi Phi! 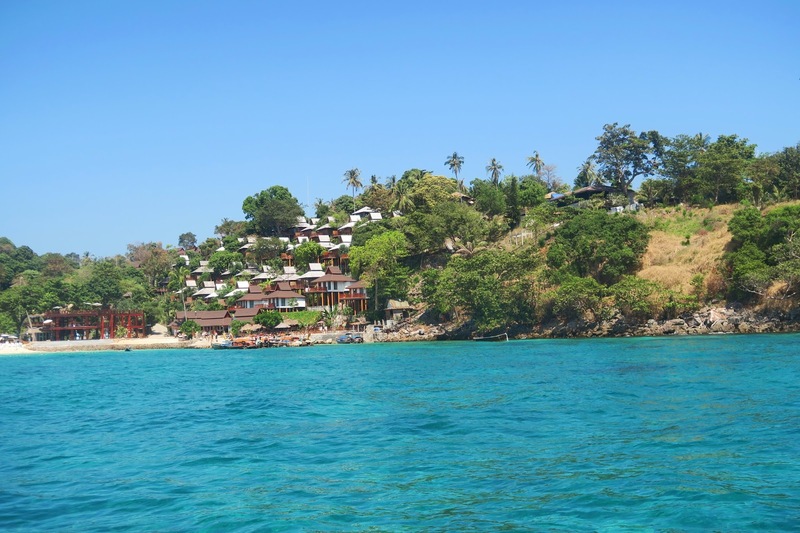 This island is known for it's major party scene. As soon as the sun goes down, the party begins! There are many chill pubs around but the party is at the beach. Loh Dalum Bay becomes a party-goers dream nightclub running a mile long. There are tons of people, fire performers, loud music, and buckets! Like I said earlier, there are chill bars around that are more low-key if you aren't into the whole party scene. I recommend heading to Banana Bar Rooftop, to watch movies on a big screen from up above the chaos, it's such a chill vibe! 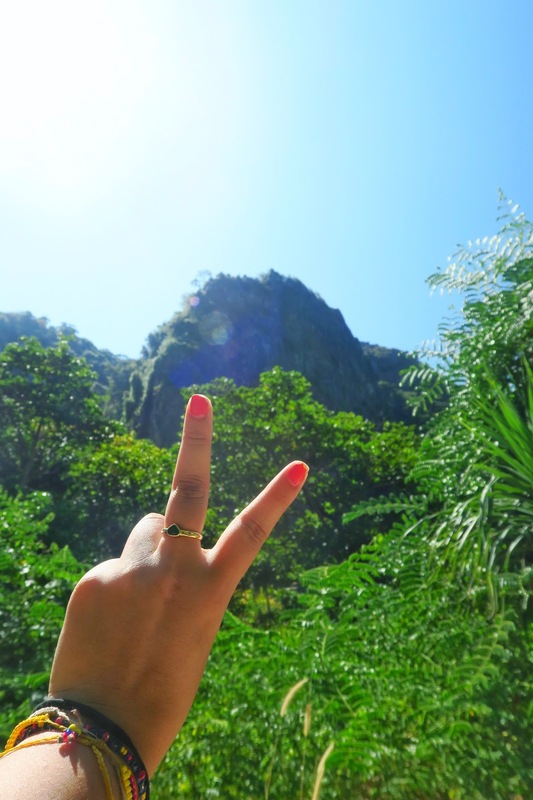 Where in Thailand should I explore next?